In a seemingly surprising blow, Andy Najar has finally made his NT decision. Honduras. The 18yo is a mere 2 months from finishing high school and is already starting for MLS's DC United. 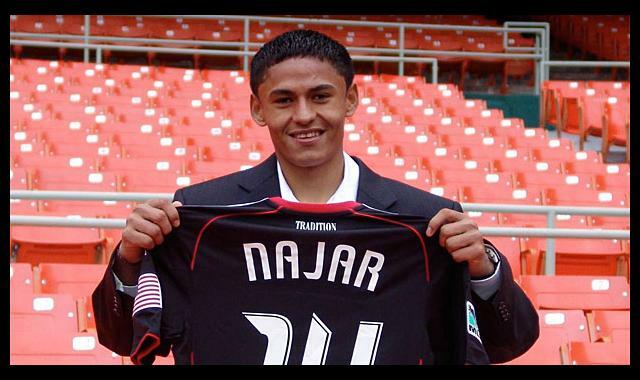 Najar moved to the US from Honduras when he was 13 and has since received his green card, with vocal aspirations of getting his US citizenship. Obviously, this will make quite a few US fans upset. Despite his wining Rookie of the Year in MLS last season, chances are, at 18, he wasn't going to be starting for the USMNT for the next 2-3 years. And that said, Bob Bradley has a tendency to play favorites. Did Najar see the writing on the wall? Was being too short and so young negatives for the USMNT? Possibly. Either way, we wish the kid luck. Except when he plays against his adopted home.